Nearly 70 percent of recovery workers who responded to the attacks on the World Trade Center suffered lung problems during or after their work at ground zero, a new health study released Tuesday shows. Less than a week before the anniversary of the Sept. 11, 2001, terrorist attacks, Mount Sinai Medical Center issued the results of the largest study on related health effects. It found, among other things, that the ailments tended to be worst among those who arrived first at the site, and that high rates of lung "abnormalities" continued years later. "We're looking potentially at an iceberg, and we're just seeing the tip of the iceberg right now unfortunately," Mount Sinai's Dr. Robin Herbert told CBS Evening News Sunday anchor Russ Mitchell. "We know that people were exposed to pulverized glass and pulverized cement and asbestos and benzene," says Herbert. Almost 70 percent of World Trade Center responders had new or worsened lung symptoms after the attacks. Among responders who had no health symptoms before the attacks, 61 percent developed lung symptoms while working on the toxic pile. One-third of those tested had abnormal lung function tests. In lung function tests, responders had abnormalities at a rate double that expected in the general population. Those abnormalities persisted for months and in some cases years after the exposure, the study found. "Our patients were very, very highly exposed, and are likely to suffer health consequences as a result of that for the rest of their lives," Herbert said. The study, to be published Thursday, focused on 9,442 ground zero workers examined between July 2002 and April 2004. They included construction workers, police and firefighters and other volunteers who worked at the site, in the city morgue or at a landfill where more than 1 million tons of trade center debris were carted. New York Mayor Michael Bloomberg cast doubt on the study's claims, saying, "I don't believe that you can say specifically a particular problem came from this particular event." The hospital has been the focal point of New York research on Sept. 11-related illnesses, and thousands have sought treatment there. The report comes as public concern over the fate of ground zero workers has risen. In a class action lawsuit against the city and its contractors, 8,000 workers and civilians blame Sept. 11 for sinusitis, cancers and other ailments they developed after the attacks. Dr. John Howard, who was appointed by the Bush administration in February to coordinate the various ground zero health programs, told The New York Times for Tuesday editions that he understands the skepticism of many responders. The programs would "build on our track record of supporting those who supported us in the months after 9/11," he wrote in an op-ed piece in the Daily News. "The city will continue to do everything possible to learn about the problems people face and develop effective strategies to deal with them." Gov. George Pataki signed legislation last month that expanded benefits for workers who became sick after toiling at ground zero, but Bloomberg objected to the laws, saying they were unfunded and would cost the city hundreds of millions of dollars. 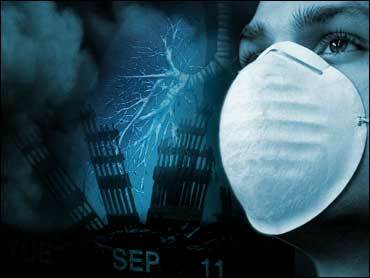 A House committee plans to hold a hearing on Sept. 11 health issues this week. The city-run World Trade Center Health Registry is tracking the long-term effects on 71,000 people, including those who lived or worked in lower Manhattan at the time of the attacks and the months of cleanup. Just last week, New York City health officials issued long-awaited guidelines to help doctors detect and treat Sept. 11-related illnesses — medical advice considered crucial for hundreds of ground zero workers now scattered across the United States.